Looking for a Chinchilla Rescue? Do you need a chinchilla rescue? Having second thoughts about having a chinchilla as a pet? Have your life circumstances changed so its no longer possible to give you chinchilla the attention that it needs? Taking care of a pet is a great responsibility, and I certainly understand that sometimes youll need to give them up. If its because of the behavior of the chinchilla I urge you to try some training and ask for help. If youve decided you have no other alternative and time is short, there are specific chinchilla rescues available. They tend to be in homes with people who generally keep chinchillas as pets, so they would be a good choice. If you purchased from a smaller breeder ask them for a referral. They will often take them back at no cost. Your last choice should be your local animal shelter. Many seldom get chinchillas, so they have little idea how to care for them and they wont give the best advice to potential owners. Theyre usually busy enough with cats and dogs! A rescue, on the other hand, will screen owners and make sure they are given proper information before they leave with a chinchilla. If you are in the New Jersey area we might be able help. You can contact us. 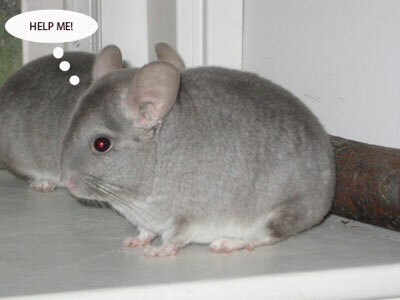 You can also try this website if you are looking for a chinchilla rescue. Head here if you need more information on training your chinchilla.